Chiptwister B.V., located at Tondensestraat 11, 6975 AC Tonden, is responsible for the processing of personal data as shown in this privacy statement. 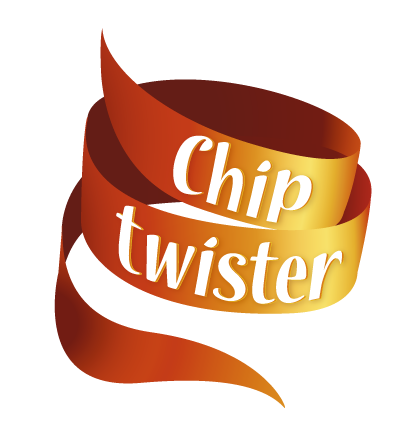 Jeroen de Boer is the Data Protection Officer of Chiptwister B.V.. He can be reached via media@chiptwister.nl. Chiptwister B.V. Processes your personal data when using our services and / or by providing it to us yourself. Our website does not intend to collect data about website visitors who are younger than 16. Unless they have permission from parents or guardians. However, we can not check if a visitor is older than 16. We encourage parents to be involved in the online activities of their children, in order to prevent data about children being collected without parental consent. If you are convinced that we have collected personal information about a minor without this permission, please contact us via info@chiptwister.nl, then we will delete this information. Chiptwister B.V. does not take decisions based on automated processing on matters that can have (significant) consequences for people. Automated dicisions are decisions taken by computer programs or systems, without a person (for example, an employee of Chiptwister B.V.) sitting between them. Chiptwister B.V. only provides personal data to third parties if this is necessary for the execution of our agreement with you or to comply with a legal obligation. You have the right to view, correct or delete your personal data. You also have the right to withdraw your consent to the data processing or to object to the processing of your personal data by Chiptwister B.V. and you have the right to data portability. This means that you can submit a request to us to send the personal information we have from you, to you or another organization mentioned by you. You can send a request for access, correction, deletion, or data transfer of your personal data or request for withdrawal of your consent or objection to the processing of your personal data to info@chiptwister.nl. To ensure that the request for access has been made by you, we ask you to send a copy of your ID with the request. Censor your passport photo, MRZ (machine readable zone, the strip with numbers at the bottom of the passport), passport number and citizen service number (BSN) in this copy. This is to protect your privacy. We respond as quickly as possible, but within four weeks, at your request. In our contact form we collect the following information: First and last name, company, address, e-mail address and telephone number. We request this information with the aim of contacting you if this is necessary to carry out our services. Chiptwister B.V. does not store your personal data longer than is strictly necessary to achieve the purposes for which your data is collected.